Demand Response Generators. There is a new wave coming that consumers and generator dealers are not aware of – Demand Response Generators. 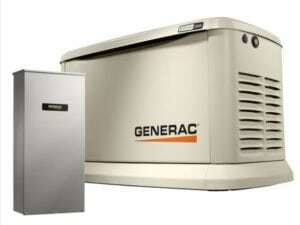 Once you learn about DR you probably won’t consider buying a traditional generator. Demand Response Generators are like traditional generators except they are modified specifically for providing demand response for the utility grid. Demand response allows the Utility Company to turn your generator on and off for short periods of time during specific times of the day. The goal of DR is to enable the Utility Company to reduce pressure on the grid and avoid rolling black outs during times of high usage. It’s entirely safe and rarely utilized but it allows the Utility Company to offload usage rather than having a black out or invest money to create additional megawatt power. The bonus – the Utility Company pays the consumer for the right to access the demand response generator. Solving a short-term Energy Crisis. The key issue is that while our energy consumption may be getting more efficient, our population and energy usage continues to grow. In many parts of the U.S. the utility and the electrical grid that provides our power is antiquated and stressed. Growing consumption, changing weather patterns, terrorism, etc. all put our energy grid in peril. Demand Response Generators are a potential solution to alleviating pressure on the electrical grid. Putting Money in Your Pocket. Demand response provides an opportunity for consumers to play a significant role in the operation of the electric grid by reducing or shifting their electricity usage during peak periods in response to time-based rates or other forms of financial incentives. Demand response programs are being used by some electric system planners and operators as resource options for balancing supply and demand. Such programs can lower the cost of electricity in wholesale markets, and in turn, lead to lower retail rates. Methods of engaging customers in demand response efforts include offering time-based rates such as time-of-use pricing, critical peak pricing, variable peak pricing, real time pricing, and critical peak rebates. It also includes direct load control programs which provide the ability for power companies to cycle air conditioners and water heaters on and off during periods of peak demand in exchange for a financial incentive and lower electric bills. How Demand Response Generators Work. The electric power industry considers demand response programs as an increasingly valuable resource option whose capabilities and potential impacts are expanded by grid modernization efforts. For example, sensors on the Utility can perceive peak load problems and utilize automatic switching devices “ATS” to divert or reduce power in strategic places, removing the chance of overload and the resulting power failure. The Utility Company can access your demand response generator and turn it on, while turning off the utility power to your home. When you add all of the demand response units together, the Utility can dramatically reduce usage until the peak load diminishes. Advanced metering infrastructure expands the range of time-based rate programs that can be offered to consumers. Smart customer systems such as in-home displays or home-area-networks can make it easier for consumers to changes their behavior and reduce peak period consumption from information on their power consumption and costs. These programs also have the potential to help electricity providers save money through reductions in peak demand and the ability to defer construction of new power plants and power delivery systems — specifically, those reserved for use during peak times. What load management/demand response options are available to consumers? The Conservation Value Program provides rebates for kW reduction for equipment that shifts or reduces energy use during summer and/or winter peak periods. 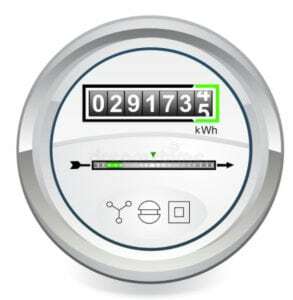 Measures providing as little as 5 kW are eligible. The Load Management Program offers customers credits on their monthly bills for allowing the Utility Company to control operation of air conditioning or specialized equipment during peak demand periods. Payment occurs regardless of whether the Utility uses the program or not. The Standby Generator Program provides customers with credits on their monthly electric bill (@ $5/kW) for the portion of the normal facility load that can be served by a standby generator within 30 minutes’ notice during peak demand periods. Here is an example of the State of Florida’s DR options. The Commercial Demand Reduction (CDR) program provides substantial monthly credits to customers that demonstrate the ability to shed at least 200 kW by allowing FP&L to install direct load control devices on assorted equipment following a free audit. Credits are awarded regardless of whether FPL initiates a demand event. Advance notice of control events is provided to the customer. Under the On Call® Savings Program, customers agree to let FPL occasionally turn off air conditioning during peak demand times and in return receive a monthly bill credit of $2 per ton per month for each of the seven months of the program (April-October) – even if the air conditioning is never turned off. The program has historically been activated three to four times per year. During a peak event period, the customer’s A/C may cycle off for 15 minutes per 30-minute period for no more than a six-hour stretch. The Custom Incentives program offers financial incentives for implementing energy-saving ideas (subject to FPL approval) that trim at least 25 kW of demand during FPL’s peak demand periods (April-October, 3 -6 p.m.). FP&L also provides a set of Curtailable Service rates, in which customers agreeing to shed 200 kW or greater “from time to time” are remunerated each month of the year. There are penalties for non-compliance with curtailment requests. Duke Energy (previously Progress Energy) offers its Backup Generator program, in which the utility gets the right to control participants’ generators during periods of extreme energy demands. Remuneration is based on the capacity of the subscribed generator(s) and the frequency of events. Coming Soon. Every state has or will have a demand response program. It may be now, this year or the next few years. The point is that they are coming and there is no way to retrofit a non-demand response generator. 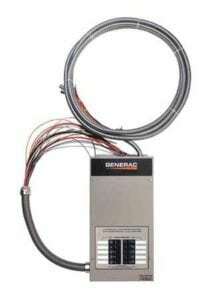 That’s why we are recommending only purchasing demand response generators for residential and light commercial use. Heavy industrial generators have been deploying demand response for years but finally it’s moving into residential. Contact the Mobile Grid for more information on our DR generators.